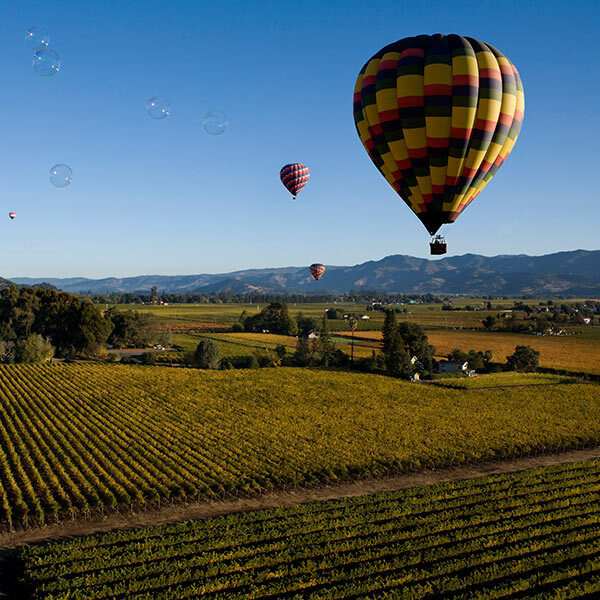 Napa Valley is surrounded by spectacular views of fertile farmland, vineyards and ranches. Tucked away between the large urban centers of Sacramento to the East and San Francisco to the south, the rich delta land is nourished by the Napa River running through it. Named after the Indians who once lived in the area, Napa County was established in 1850 as one of the original 27 California counties. Home to several cities, the largest city and county seat is Napa. Followed by American Canyon, Rutherford, Oakville, Yountville, Calistoga, and St. Helena. Each brings its own unique flavor. Renowned as one of the premium wine regions in the world, Napa is home to over 400 wineries in the area in addition to large scale wineries, Napa Valley’s boutique wineries produce some of the world’s best wines. Napa County has maintained a rural agricultural environment in a large portion of the valley floor allowing for fine wine and fine wine grapes to become the overwhelming source of Napa’s prosperity and prominence. Napa’s unique terrain and climate and its high standards of viticulture and wine making ensure premium pricing for its grapes and wine. The tourism industry is an enormously important part of what makes Napa County such a vibrant and economically progressive community. Napa County (population: 136,484 – 2010 Census) offers a variety of home ownership options with diverse architectural styles, ranging from townhouse/condos, single-family homes, lots and land, to gated hillside vineyard estates. Napa offers good schools, beautiful parks, and an array of services designed to assist those who call Napa home. Could Napa be your next home? Use our property search feature for your home search or our resource links “FIND IT HERE” to put together a comprehensive overview of market trends, schools, demographics, and lifestyle data to help you find the latest trends in the Napa housing market. Come for a visit but plan to stay and have Susan help you “FIND YOUR DREAM HOME”.